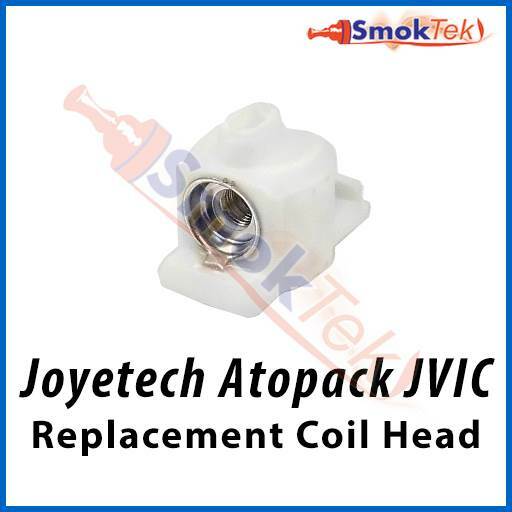 These replacement coil heads are designed for the Joyetech Atopack Penguin SE. They are also compatible with the original Joyetech Atopack Penguin and the Joyetech Atopack Dolphin. Try different styles of vaping! JVIC coils support mouth to lung (MTL) or direct lung (DL) vaping, so you can find the style of vaping that suits your needs best. MTL coils mimic the tighter draw of taking a puff on a cigarette, while DL coils enable increased vapor production and yield big clouds of vapor. The innovative JVIC (Juice Vertical Injection Coil) system delivers great flavor thanks to a horizontal coil which rests inside a ceramic cradle. To change the coil, make sure your cartridge is empty or prop it against another item to keep the e-liquid inside from spilling out. Simply pull out the old/used coil, and push in a new coil head in its place. We highly recommend priming your new coil before use. To prime it, drip a few drops of e-liquid onto the exposed cotton on the coil head - this step will help minimize the chance of accidentally burning the coil when you fire the device. After inserting the coil head into the cartridge securely, please set it aside for a few minutes so the coil can become fully saturated with e-juice. 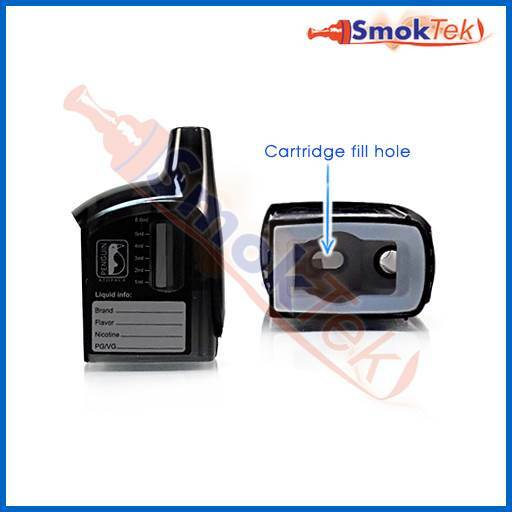 To fill the cartridge, pull it out of the battery, then pull out the coil head. Hold the cartridge up-side-down, grab your favorite e-juice and fill with ~8.8ml through the oval fill hole. Please note: only fill through the oval fill hole - do not fill through the round hole, which is for airflow/the mouthpiece. If you fill through the round hole, the e-liquid will pour out of the mouthpiece as you fill. Please do not over-fill the cartridge - about 80% full is best. Once full, insert the coil head back in. 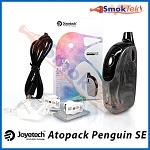 To begin vaping, simply slide the cartridge back into the Atopack Penguin battery. Make sure your device is turned ON, then press the firing button on the front of the device with each inhale - release the button when you exhale. Only fill the cartridge through the oval fill hole - do not fill through the round hole, which is for airflow/the mouthpiece. If you fill through here, the e-liquid will pour out of the mouthpiece as you fill.